Flamingo Large Bath Soap Bar Shop the largest selection of Michel Design Works large bath soap bars - Flamingo Collection. Plus enjoy free U.S. shipping on all orders over $50. These substantial 8.7-ounce / 246 gram bars contain only the finest ingredients - pure vegetable palm oil, glycerine, and rich, moisturizing shea butter. Each piece is triple-milled and handmade in Sussex, England, where our artisanal soap maker oversees every step of the process. Such painstaking care ensures a product that is thoroughly-blended, firm, long lasting, and silky smooth. 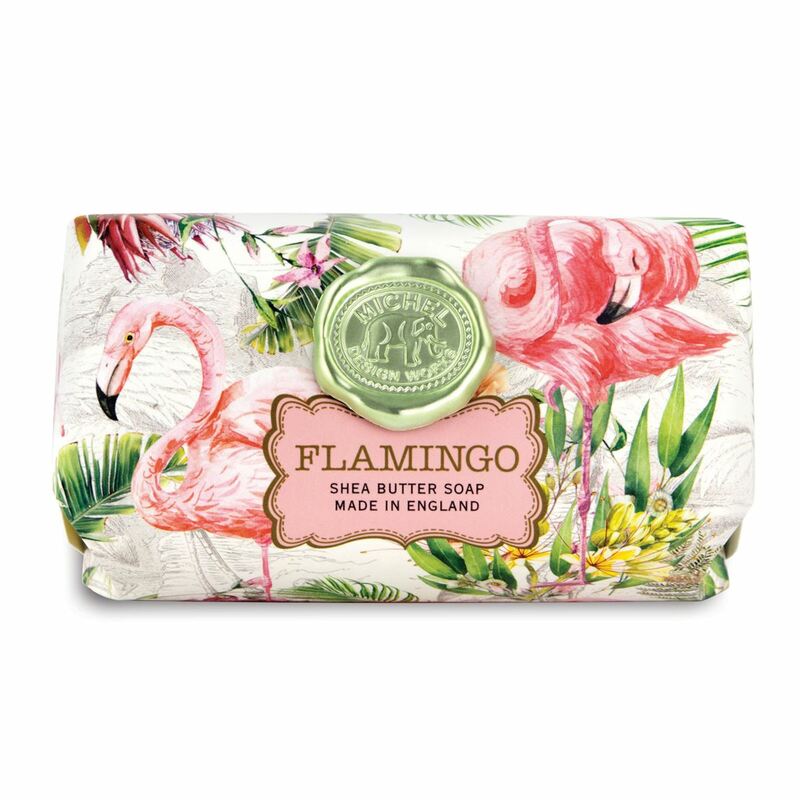 Flamingo: Flamingos are colorful, balletic, universally appealing—and undeniably amusing. Our new design celebrates this combination of playful elegance and irresistible charm. Scent: Powdery violets and orange blossoms with soft notes of musk and ripe plum.